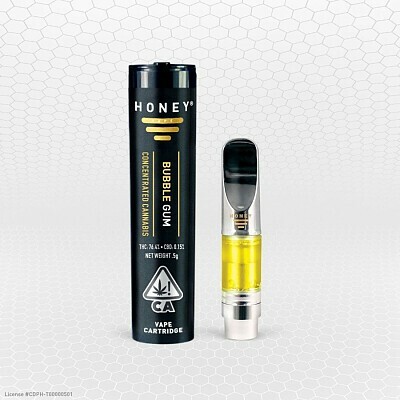 Bubble Gum by HoneyVape™ is arguably the best tasting cannabis vape oil of any brand, anywhere, period. 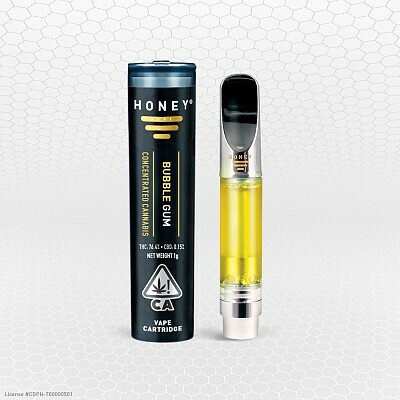 On the medicinal spectrum, Bubble Gum by HoneyVape™ is an excellent balanced hybrid, making it the perfect “starter variety” for cannabis users who are just getting into vape oils, or have never tried HoneyVape™. Characteristic anticipated effects range from body high and relaxing, to very sedative and sleepy with higher dosage…which honestly is a risk because it tastes so damn good.